The podcast for readers and writers of thriller and genre fiction. Click here to download this week's episode. Alan talks about his Write The Fight Right short ebook he’s working on. Dave talks about his work on the next Dane Maddock book. Then we have a guest: Joanna Penn. Jo talks about her new book, Pentecost, which she describes as like a cross between Dan Brown and Lara Croft. Jo talks about moving from her non-fiction success to writing fiction. We go on to discuss Jo’s influences, her fascination with theology (she has a Masters degree in it!) and what drives her to write the things she does. We discuss Jo’s female protagonist and what’s masculine or just cool. Which leads to a discussion of female writers putting out thrillers, a traditionally male dominated genre. Jo talks about future projects and the next Morgan Sierra books. We discuss Jo’s previous name as a non-fiction writer and how her online presence has helped with the launch of her first novel. 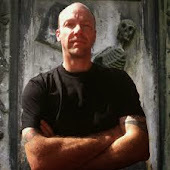 Alan Baxter is an author of dark fantasy, science fiction, and horror, as well as short works of fiction and non-fiction. His forthcoming trilogy will be published in 2014 by Harper-Voyager. Born in the United Kingdom, he now resides on the south coast of New South Wales, Australia. David Wood is the author of the Dane Maddock adventures and several stand-alone works. He lives in Santa Fe, New Mexico.